Drop into the Visitor Information Centre for maps and advice on things to do. 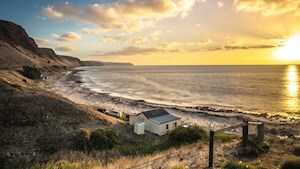 One of the larger towns in the Fleurieu Peninsula, Yankalilla has retained its 'old village' atmosphere, with the pretty Bungala River flowing through the township. Take a walk along the tree-lined streets, admiring the rural architecture and cottage gardens. Yankalilla is home to the first country Josephite school, opened by Saint Mary McKillop in 1867, which is now a private residence. In town you'll find a famous bakery, a well-stocked supermarket, banking facilities, a great pub and a number of art, craft and bric-a-brac stores for the keen bargain hunter. Drop into the Visitor Information Centre for maps and advice on things to do. A must-see while in Yankalilla is the town's historical museum, which is constantly being highly rated by visitors. Yankalilla is the site of one of the world's newest Marian Shrines – the Shrine of Our Lady of Yankalilla, which attracts pilgrims from around the world to see the image of the Madonna and child that has appeared on the rear wall of the Anglican Church. 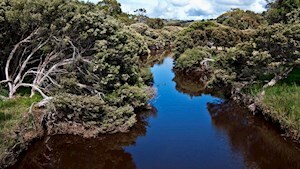 See what people are posting about Yankalilla.